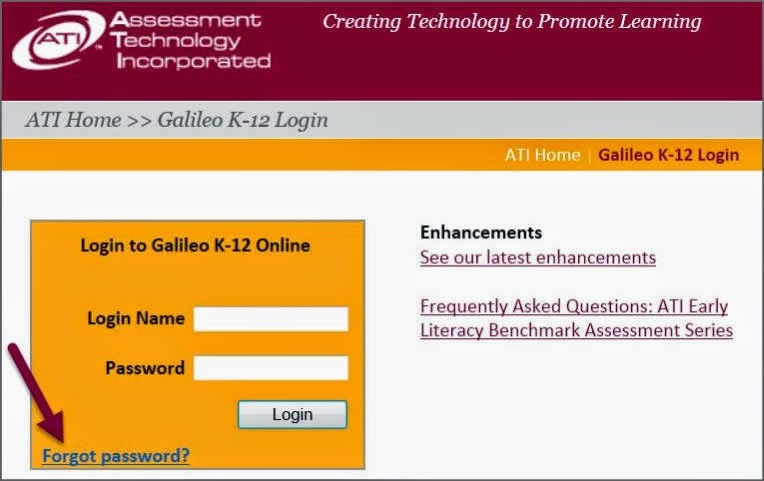 If you have tried logging into Galileo K-12 in the past few weeks, you may have been prompted to enter your email address. The email address request is a new requirement to facilitate password reset if you have forgotten your password. The email address will be used when you click on the “Forgot password?” link. The link is now located on the Galileo K-12 Login screen. Upon clicking the link, you’re taken to the Recover Your Password screen, and prompted to enter your login name and retype a 5 digit code to have your password emailed to the address on file. If you have not provided an email or do not know your login name, you may contact us for further assistance at GalileoInfo@ati-online.com.